Jeremy Corbyn used his quiet visit to the Copeland by-election to tell Labour members he would give his backing for plans to develop nuclear energy plants. The party leader made the day trip to the constituency – which includes the Sellafield plant – yesterday to explain his support for new nuclear power as part of Britain’s “energy mix”. The dash to West Cumbria came after the Tories printed thousands of leaflets in which they highlighted Corbyn’s previous statements critical of nuclear power. Tonight Corbyn’s aides said the low-key visit, in which he did not do the canvassing blitz normally associated with party leaders, featured a “listening session” with members. Corbyn is due to visit Copeland again shortly, perhaps as soon as this weekend. A series of other current and former frontbenchers, including Angela Rayner and Dan Jarvis, have made the trip to England’s most northerly county in recent days. Labour has still to say publicly when it wants to hold the Copeland by-election although local members are due to pick a candidate on Thursday. Jamie Reed is stepping down to take up a job at the Sellafield plant. Labour could decide to hold the Copeland and Stoke elections on the same day this spring following Trustram Hunt’s announcement last week that he would leave the Commons. 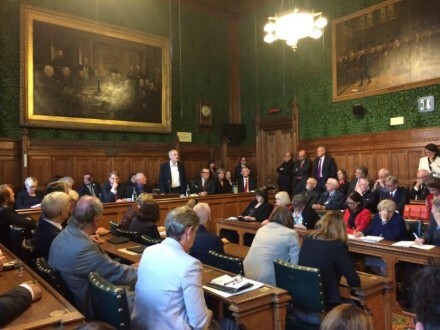 “We will be ready,” Corbyn said tonight when he appeared at the weekly meeting of the parliamentary Labour Party, where he was received with polite applause in contrast to some stormy meetings last year. Corbyn is expected to follow up his new year “re-launch” tomorrow with a series of television appearances in response to Theresa May’s much-anticipated speech on Brexit.